Ice Cream in January, with all the snow and ice? What am I thinking about? Indeed, I am shivering just looking at the picture, however it's nice to have a change from the rich fare we have been eating in December. This particular ice cream is the result of me defrosting the freezer, you see I found a small carton of strawberry puree from summer 2012! I let it thaw and had a taste and it was fine, but needed to be used. I also had a single white chocolate meringue left over from New Year, a teeny tiny bar of Green and Blacks White Chocolate and a tub of Creme Fraiche in the fridge, it was either Eton Mess or Eton Mess Ice Cream. 1. To make the strawberry puree, hull the strawberries and crush them with the sugar, either in a food processor or with a fork, it will take you a bit longer but you do get some nice chunky bits of strawberry. 2. 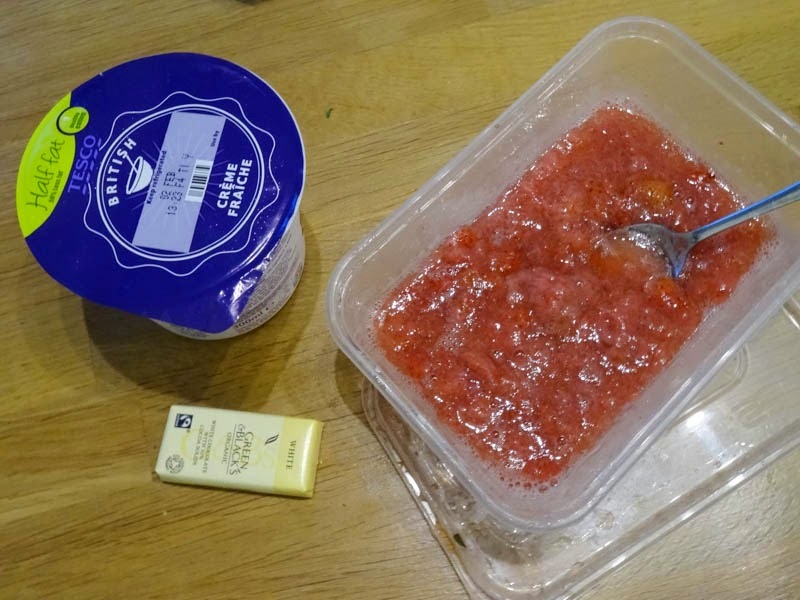 Mix the strawberry puree with the creme fraiche, cut the chocolate into chunks and mix it into the strawberry mixture. Put in an ice cream maker to churn or put the bowl into the freezer until the ice cream is firm. I would recommend using a shallow flat dish as it will freeze quicker. 3. Take the ice cream out of the freezer every 30-45 minutes and break up the ice crystals by whisking with a fork. The third time you do this, the ice cream should be firm enough to mix in the crushed meringue, then leave it to freeze until firm. 4. To serve, take the ice cream out of the freezer and place in the fridge for about 20 minutes until it is soft enough to scoop. As I used half-fat creme fraiche, the ice cream was more crystallised. You get a better result with full fat products but it is still delicious. 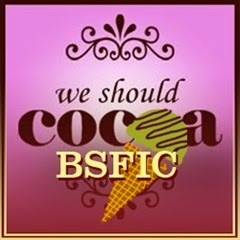 I'm entering this ice cream for the double-bubble blog event We Should Cocoa/Bloggers Scream for Ice Cream being jointly run by Choclette at Chocolate Log Blog and Kavita at Kavey Eats. 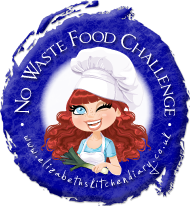 I am also entering this for the No Waste Food Challenge run by Elizabeth's Kitchen Diary. The strawberry puree I used was rescued from the freezer and the single meringue was left over from New Year. you know what, there's always time for ice cream, no matter the weather... loving the flavours you've combined here... but then i'd eat that puree by itself! Ooh lovely Janice, an ice-cream entry and a lovely summery one at that. Nice to be reminded of the warm days and delicious fruit to come. I still haven't figured out what I'm going to make. Love that cup and saucer BTW. hehehe, your freezer is like mine! and I so thought you'd be better organised. 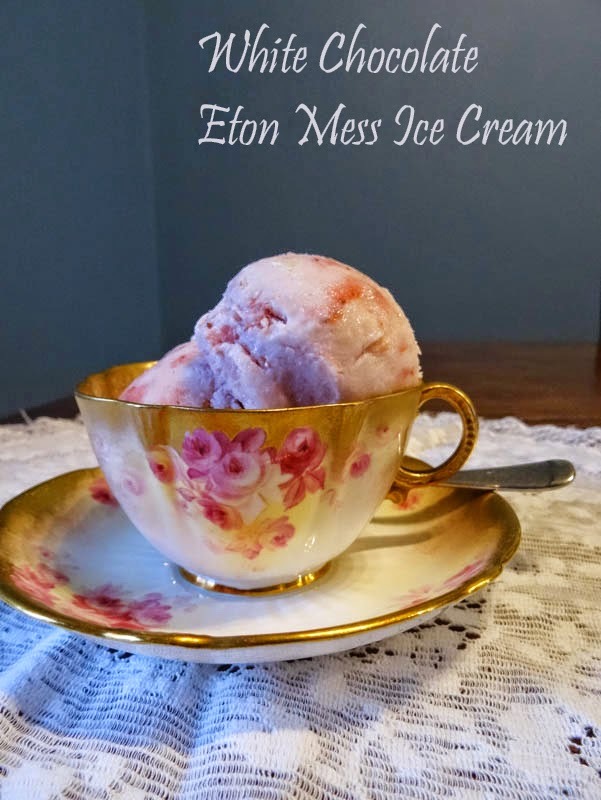 Lovely looking icecream - and I am a huge fan of eton mess so I'm sure I'd enjoy this! Thank you, the tea set was my great-grandmothers. Other cups are green and yellow, it's so pretty but very delicate. Thanks Choclette. I served the ice cream with the bramble and apple crumble at the weekend, hot and cold together it was lovely. Isn't everyone's freezer hiding ancient goodies? I only give the illusion of being organised Fiona but I have to say I didn't actually have to put anything out this time, so progress! how delicious Janice. I've an ice cream maker sitting in my kitchen but for me it is just to cold for me to think of ice cream. Nice idea to use up leftovers though! I love these recipes from leftover things - look at the brilliant things you can come up with! Must defrost mine soon. I'm sure I couldn't come up with anything as tasty as this! It's always so satisfying to create something marvellous from leftover this and that! Sounds rather good to me! Ha ha Janie, there were quite a few meringues and then there was one. I am really strict about people helping themselves to things I have plans for, so the family are all well trained to leave them alone! I love cooking from leftovers Stuart, they bring out my most creative side. I'm sure you will find something you can create in the depths of your freezer! Thanks Kavey, it was very delicious. It is a cute little chocolate bar, glad you like the sound of the ice cream and yes a taste of summer strawberries is lovely in winter. Oh that does look good Janice. Great idea to use creme fraiche and a good reminder that I can still make ice cream even though I gave away my ice cream machine. There is no wrong time for ice cream! Am saving this recipe for when I have room, post Christmas, for my ice cream maker bowl! !